You need to know this before Sunday when the doors to DGC open. There's a big lie you've been operating under and little do you know, it's clouded your judgment, screwed with your head and disordered your steps. 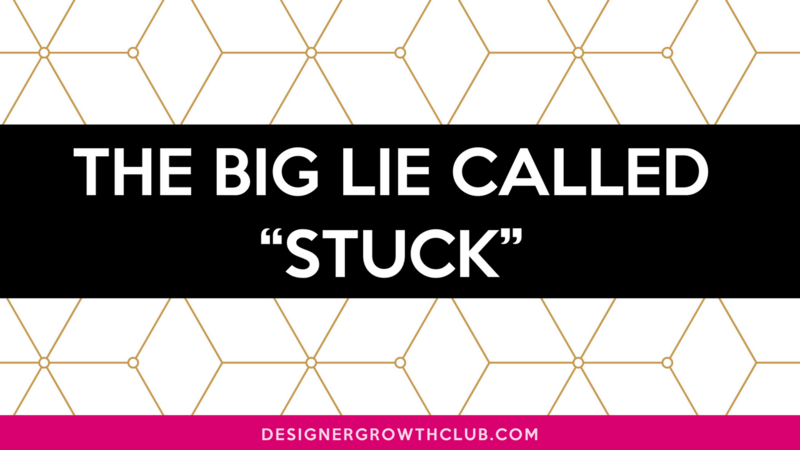 Probably my least favorite word since about 2014 to the present is "Stuck", more specifically the phrase, "You're stuck!" I couldn't figure out why the word irked me so. It's very vivid and so many people related to it. People would hear it and go, "Yes, that's me! I'm stuck!" They'd almost rejoice over having a name for their condition of immobility. Nevertheless, it bothered me still. "Jade, tell them they are NOT stuck. They are being strategically stalled because I know what I am doing, I know what I have for them and I am diligently preparing them for their next season. I am not in a rush because I own all of time." I was floored and then like a flood this came to me. If we wrongly think we're stuck, we logically react negatively. We get depressed, we get angry and we start flailing, rebelling against a state of "stuckness"! When we're in this flailing posture, we start fighting the season we're in, mistaking it for a "bad season", not understanding we're exactly where we need to be. When we fight the season we're in, we miss out on preparing for the season ahead. It's one of the most clever tricks of the enemy I've ever witnessed. It’s absolutely brilliant because then we get desperate and we'll reach for anything, anyone, any method to help us relieve this feeling of being in a stalemate. We've lost that patience required to hear from God himself about what our next move should be. We're people of action so it FEELS better to be fighting against something instead of standing still and waiting for the next spiritual baby step. But when you understand that a spiritual baby step leads to a large leap of faith which leads to giant status, it changes everything! We teach you how to use periods of strategic stalling to your benefit. Are you ready to be that darn potent? Of course you are! Sunday, Sept. 10th is nigh.